We live in an age of throwaway fashion. Highstreet stores sell clothes and shoes which are simple to design and quick to produce. Many of the garments are made overseas and we’ve all heard about some of the conditions in which this activity takes place. “Luxury” shoes are no different, other than for the high mark-up that these stores like to impose. The real value of the shoe is only exposed at sale times, when they can be sold with up to 70% off and the store still makes a profit. And have you ever stopped to think about how long your high street shoes last? We know from our own experience that it’s really not long. If you’re looking for a special shoe or simply a shoe of quality, the mass market is not the right place for you. Britain has a rich heritage for textiles and manufacturing and in particular, Northampton is known worldwide for being the home of skilled craftsmanship in making shoes and there are a number of good brands available today. Gilbert & Bailey go further than that, though. 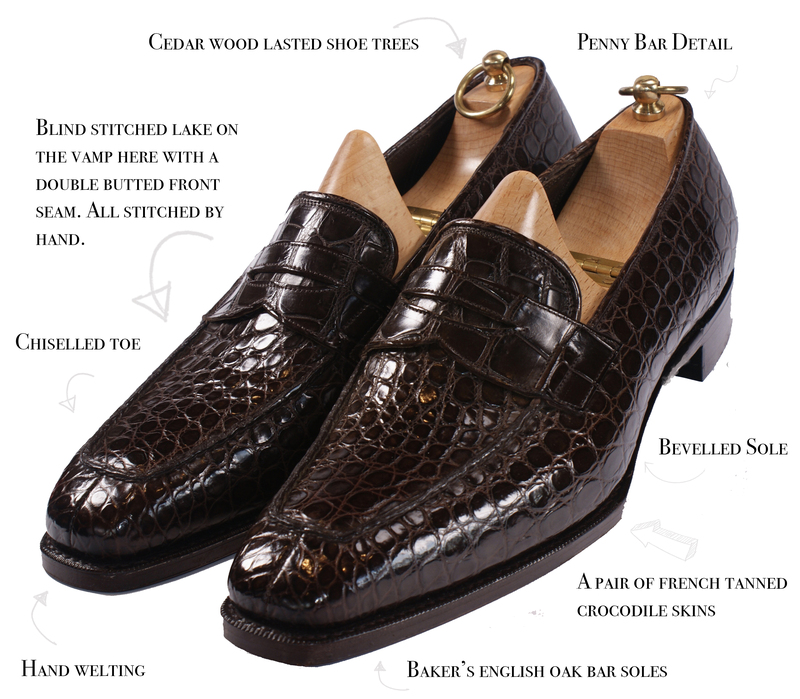 Yes, you can purchase luxury shoes from us, which are made by skilled craftsmen and use only the finest materials. However, you can also design your own shoes. Don’t worry, you don’t have to be a skilled designer to do this because our unique software enables you to choose from options which will ensure your finished product looks and feels the business. You get to choose the shape, colour, materials… and so on meaning the end result is a truly special shoe. So next time you are looking to make a purchase, stop before you go and spend your hard earned cash on a pair of shoes that thousands of other people will already have and won’t last very long, and give yourself a pair of shoes that you really deserve.